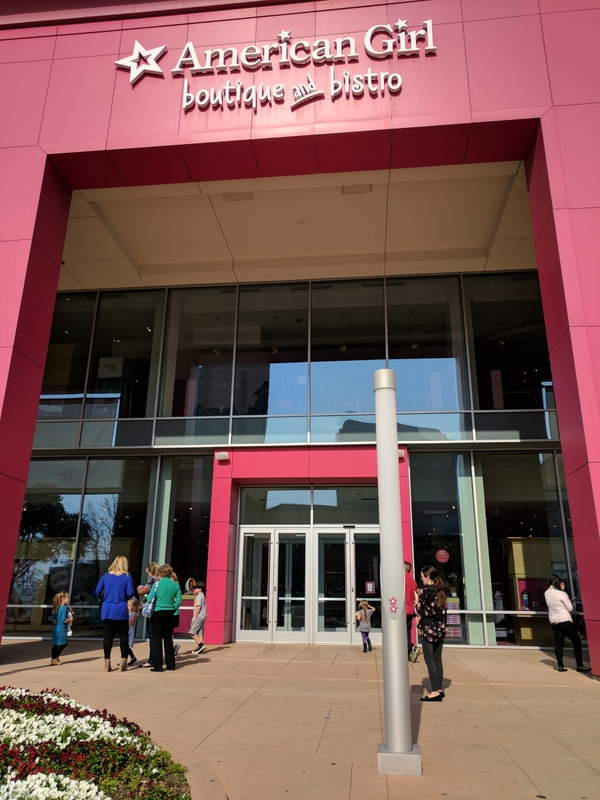 When visiting Dallas the American Girl Store and Bistro is almost always on our list. This place is so much fun to walk around. All of the dolls have the cutest little clothes and the most adorable themed toys. 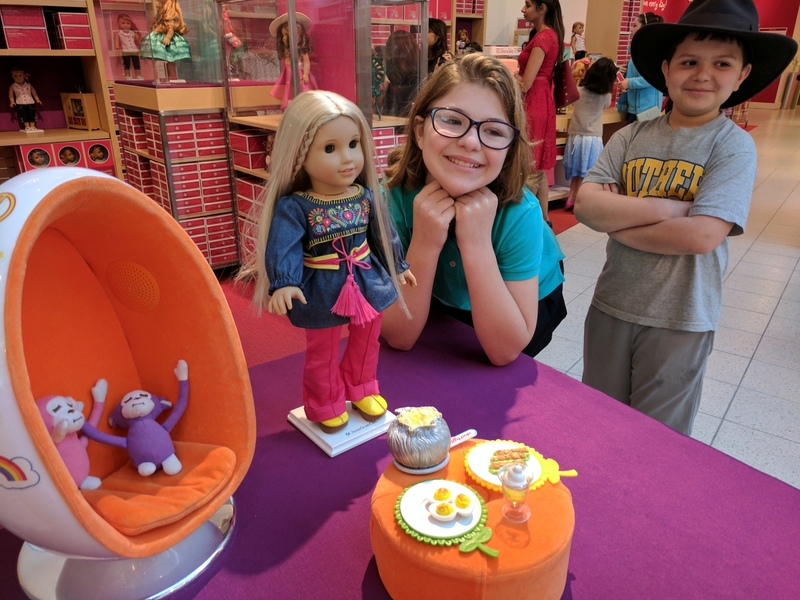 My American Girl doll, Maggie, goes nuts in the store. I think she goes into a little bit of an overload. She wants to see everything all at once. The concept of the store and the brand is phenomenal. I just wish I would have been the one to come up with the idea. It’s wholesome, uplifting and sends a good message to the girls -all girls are beautiful, smart and important. Now I know what you are thinking, eating a lunch at an American Girl doll store. That just sounds crazy. Well let me just tell you something, the food is amazing. 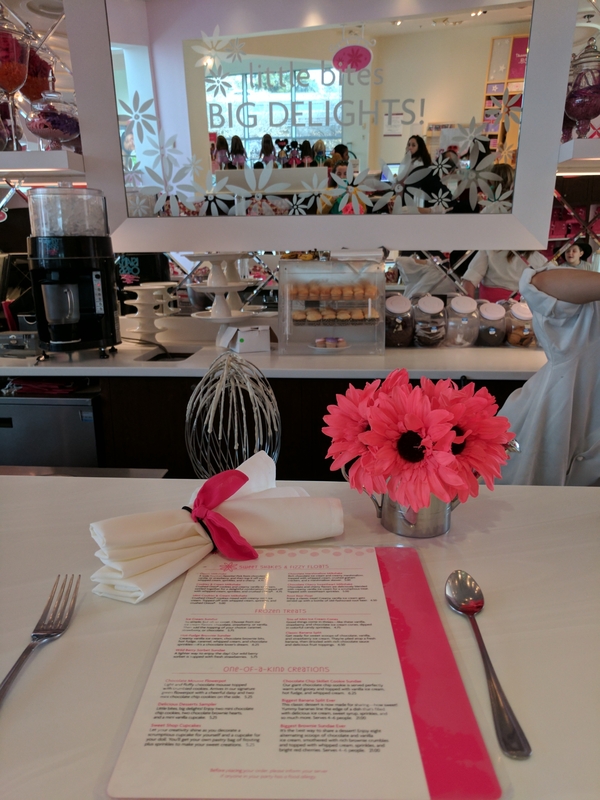 Not only is the bistro beautifully designed and it’s shades of pink and white, but the wait staff is so friendly and accommodating. We didn’t have reservations to eat at The Bistro, so they kindly sat us at the dessert bar. They offered us the full lunch menu, but we decided just to get dessert. I am so glad we didn’t skip on the desert. We settled on The Biggest Brownie Sundae Ever. It was indeed the biggest! I’m just going to leave this little animated picture right here…..
Shoot…I’ve been calling it a store all this time. It’s a BOUTIQUE!